Will Young is at a bit of a crossroads in his career right now. Having been in the industry since his Pop Idol win in 2002, Will is easily one of the most successful stars to come from a reality TV show. He’s released six albums – four of which have hit number one and five have been certified at least platinum – and toured fairly relentlessly. After the release of his 2011’s Echoes, Will moved from RCA Records and signed a new deal with Island Records to release sixth album 85% Proof. Despite that album hitting number one, it was his lowest selling to date and he parted ways with the label a little over 12 months after starting the deal. Having signed up for the new series of Strictly Come Dancing, Will has just released new EP Summer Covers. 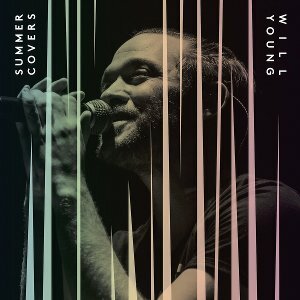 The idea behind Summer Covers was for Will to record some of the covers he’s performed on his tours over the years. The EP features five tracks and it’s actually refreshing to see a covers release that doesn’t go for the obvious. Amongst the five tracks here there are songs from Joni Mitchell (Answer Me, My Love), Ryan Adams (Amy), Buzzcocks (Ever Fallen In Love), The Beatles (I’m Only Sleeping) and John Martyn (One World). The songs Will has recorded here reflect the diverse range of influences he has and further moves away from the early days of his pop career. Will has always managed to get past his reality show label and be considered as a serious artist who has a genuine interest in music. He’s never been interested in the celebrity side of his job and it’s been fascinating to watch him grow over the years. Summer Covers switches up Will’s sound yet again. In more recent times he’s experimented with dance rhythms and soulful pop, but Summer Covers takes him into jazz territory particularly on Answer Me, My Love. It’s an opportunity for Will to show off a different side of his voice and he sounds fantastic. If he recorded a full-length jazz album in the future I wouldn’t be surprised as he has the vocal chops to pull it off. Elsewhere on the EP Will puts a more emotive twist on Ever Fallen In Love, stripping it back so the lyrics are the focus, and he gives his best vocal on the jazz infused take on John Martyn’s One World. Amy is transformed into a simple ditty while a feeling of whimsy is injected into The Beatles’ track I’m Only Sleeping. Summer Covers is a laidback and cool collection of songs. Honestly I’d rather hear Will performing new original material, and I’m still holding out for a continuation of his Echoes album, but in the meantime this is an interesting listen. It’s clearly a passion project for the singer and as he’s now between labels it’ll be interesting to see what he does next. Appearing on Strictly is sure to boost his profile and remind everyone what a talent he is.